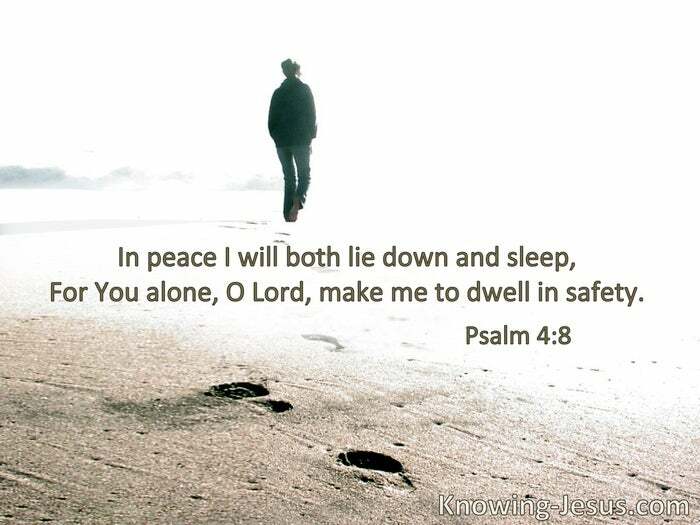 I will both lie down in peace, and sleep;for You alone, O Lord, make me dwell in safety. You shall not be afraid of the terror by night. § He shall cover you with His feathers, and under His wings you shall take refuge. § As a hen gathers her chicks under her wings. § He will not allow your foot to be moved; He who keeps you will not slumber. Behold, He who keeps Israel shall neither slumber nor sleep. 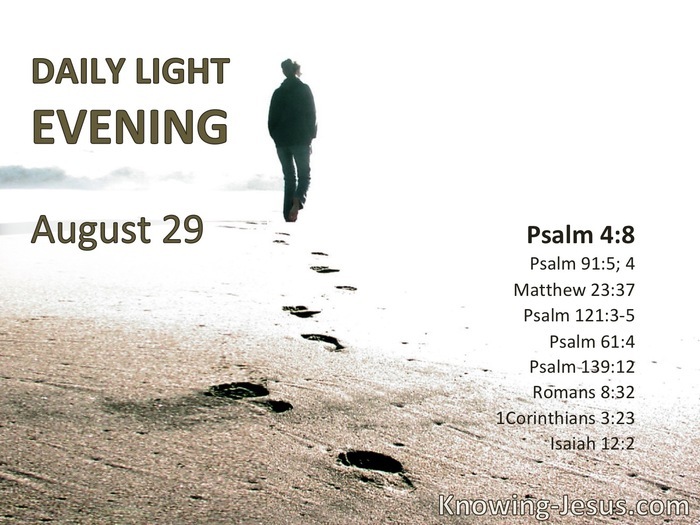 The Lord is your keeper; the Lord is your shade at your right hand. I will abide in Your tabernacle forever; I will trust in the shelter of Your wings. § The darkness shall not hide from You, but the night shines as the day; the darkness and the light are both alike to You. He who did not spare His own Son, but delivered Him up for us all, how shall He not with Him also freely give us all things? § You are Christ’s, and Christ is God’s. § I will trust and not be afraid.